Ultimately, people will seek either to draw closer to Jesus or further away. Those, like the man in today’s story, who have received God’s grace and healing in a life-changing way naturally desire only to remain in Jesus’ presence, enjoying fellowship with Him. How about you? Do you beg to be with your Savior, ever closer to Him with each day? Is that your heart’s desire? – Psalm 51:11 — Cast me not away from your presence, and take not your Holy Spirit from me. – Psalm 84:10 — For a day in your courts is better than a thousand elsewhere. I would rather be a doorkeeper in the house of my God than dwell in the tents of wickedness. – Psalm 63:1-4 — O God, you are my God; earnestly I seek you; my soul thirsts for you; my flesh faints for you, as in a dry and weary land where there is no water. So I have looked upon you in the sanctuary, beholding your power and glory. Because your steadfast love is better than life, my lips will praise you. So I will bless you as long as I live; in your name I will lift up my hands. – Psalm 105:4 — Seek the Lord and his strength; seek his presence continually! – Genesis 4:16 — Then Cain went away from the presence of the Lord and settled in the land of Nod, east of Eden. The formerly demon possessed man begged to stay with Jesus, but Jesus said, “Go home to your friends and tell them how much the Lord has done for you, and how he has had mercy on you.” (Matthew 5:19) So, the man “went away and began to proclaim in the Decapolis how much Jesus had done for him, and everyone marveled.” (Matthew 5:20) Later, as a result of the man’s testimony, crowds from the Decapolis would seek Jesus (Mark 7:31-36 and Matt. 15:30). God doesn’t want us to simply enjoy fellowship with Him, He wants us to share Him with others. Often, this requires getting out of our comfort zone. For the formerly demon possessed man, a new life didn’t mean a new place or new relationships. He was charged to go back into his environment with a new life on display and with a new message. It can be hard to share Christ with those who knew the old you, but the reality of the new you will be most apparent to them. – Philippians 1:21-26 — For to me to live is Christ, and to die is gain. If I am to live in the flesh, that means fruitful labor for me. Yet which I shall choose I cannot tell. I am hard pressed between the two. My desire is to depart and be with Christ, for that is far better. But to remain in the flesh is more necessary on your account. Convinced of this, I know that I will remain and continue with you all, for your progress and joy in the faith, so that in me you may have ample cause to glory in Christ Jesus, because of my coming to you again. 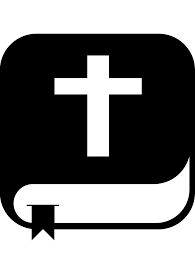 “Cross” Fit S-WOD (Spiritual Workout of the Day) – 25 Mar 19: Get out of your comfort zone and share Jesus with someone today.